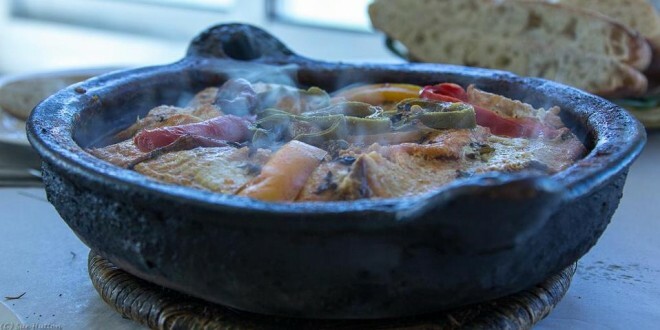 Tagra is a northern fish stew, a speciality of Moroccan Imazighens of Riff. 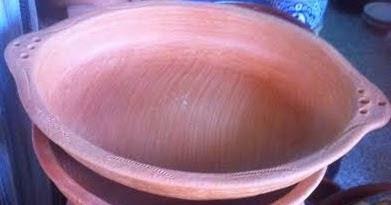 It's a wide and shallow unglazed earthenware cooking base, looks like tagine but without the top. 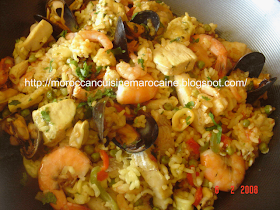 Tagra refers to all the fish dishes in northern Morocco, especially Tangier, Assila, Larache and Tetouan. The traditional shape of tagra is round though its shape has changed over the years and we can see now some tagra in oval sizes and even with a cover. 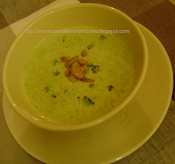 Tagra is believed to be man's dish and it is to Riff as what Tanjiya is to Marrakesh or Bouillabaisse to Marseilles. The legend says "Tagra" originally was a fish stew made by Ryaffa fishermen using the pageot fish that they caught but found too small to bring home. It was believed that every fisherman had to bring with him some ingredients to make tagra, as fresh tomatoes, lemon, olives, green peppers and spices.